There are literally hundreds of e-commerce shopping cart solutions on the market. 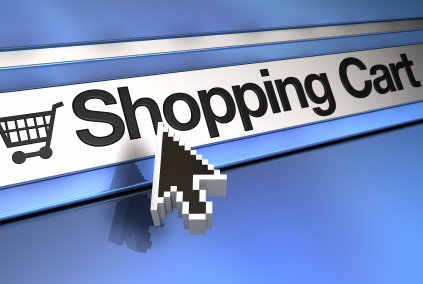 It is important to choose the one that is right for your business have the shopping cart setup correctly. In order to access which cart has the specifications you require, we suggest committing some time to researching and reviewing your options. Traditionally, shopping carts have been provided in two classifications: Out of the box carts and web based carts. With the growth of WordPress users in recent years, plugin carts have become more and more common. Out the box carts are pieces of software that you purchase and install on a server that you maintain. There is no recurring fee. They are often open source so they can be customized to a high degree. They can support large stores with a lot of items custom requirements. The front end site and the back end cart can all be hosted together as part of one site so the continuity is good. As with any self hosted software, you are in control of safety and backups. Web based carts are hosted solutions in the “software as a service” (SaaS) category. You can access them through a web browser 24/7. They normally offer a user friendly interface that allows you to setup your items, pricing, shipping methods and custom design. With web based carts the shopper is sent to the server of the provider so it is important to match the design of your main website. Some web based carts offer robust features like inventory management, shipping carrier interface, affiliate programs and marketplace interfaces (Amazon etc). Most web based carts offer various levels of service plans that can range from $10/mo to $100/mo. The newest type of shopping cart is the wordpress plugin. With the emergence of WordPress as the most commonly used website development tool, the demand for e-commerce cart plugins has grown. There are a number available at no cost. Generally the functionality is limited but is also simplified. A free plugin can be a great solution for the right merchant. For more information about how JFC can help you to implement and maintain an e-commerce shopping cart, visit our contact us page.